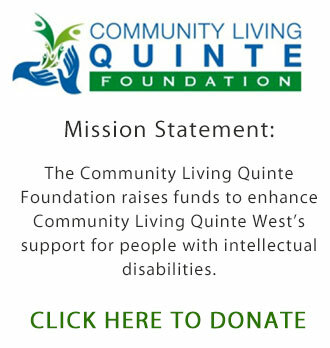 Lieutenant Colonel Brent Hoddinott joined the Board of Directors for Community Living Quinte West in 2016 and was elected President in 2018. LColonel Brent Hoddinott joined the Canadian Armed Forces in 1993 and graduated from the Royal Military College of Canada in 1997 with a Bachelor of Chemical and Materials Engineering. After receiving his Navigator Wings in 1998 and his category in 1999, he served on board the mighty flush-riveted CC-130E/H at both 436(T) Squadron and 429(T) Squadron in Trenton until 2005. In that period, he crisscrossed the globe many times on various operations. Between 2005 and 2008, he worked in the Air Staff in Ottawa as Executive Assistant to the then Assistant Chief of the Air Staff. In 2008, LCol Hoddinott was promoted to major and posted to 426 Training Squadron where he worked as a Flying Supervisor and then Deputy Commanding Officer. In January 2010, he deployed to Haiti for Op Hestia as the Officer-in-Charge (OIC) of the Airlift Coordination Element. Here, his team was directly responsible for the repatriation of over 4,400 Canadian Entitled Persons. Then, in July, he took command of Canadian Forces Station Alert and had the great fortune to have an uneventful command tour. A little less than a month after returning from CFS Alert, LCol Hoddinott was deployed to Malta, as OIC Tactical Air Transport Detachment, to conduct a Non-Combatant Evacuation Operation from Libya just before the commencement of Op Mobile. In June 2012, following graduation from JCSP 38, LCol Hoddinott was posted to Canadian Joint Operations Command (CJOC) as the lead J3/5 Expeditionary Mission Planner. In that post, he was responsible for all deliberate and crisis planning for extant and emerging CJOC missions. LCol Hoddinott was promoted to that rank in 2013 and then transferred to Chief Force Development as Director Strategic Integration 6 – Multi-Year Establishment Plan (MYEP). He and his team worked to synchronize Horizon 2 and 3 establishment position investment/ divestment opportunities in order to evolve today’s force structure to one that would be better suited for the projected future security environment. Through a serious of fortuitous events, LCol Hoddinott returned to Trenton in 2014 for year-long French training and then in 2015 he joined the Directing Staff at CFC Toronto for JCSP 42. LCol Hoddinott is married and the father of two boys. He runs and coaches soccer. Callum was elected to the Board of Directors for Community Livign Quinte West in 2017 and was elected Vice-President in 2018. Callum was born in Trenton, ON and grew up in the community before moving to Napanee when his parents were posted to CFB Kingston. 2015 saw a return to the Trenton area to set down roots. Along with his wife Angelica and their beautiful daughter Alexandra, Callum is looking to give back to the community that has given them so much. His passion for helping those with intellectual disabilities stems from his uncle who spent much of his life institutionalized. It is Callum’s firm belief that everyone should be able to participate in their community to the fullest extent of their ability and he hopes that through his work with CLQW he can facilitate this. Callum spends most of his time focused on his business, Innovative Tech Ltd., but nothing brings him joy like nights at home with his wife and daughter. Callum is presently in his first term with the CLQW Board of Directors but looks forward to years of service. Scott Smith was first elected to the Board of Directors of Community Living Quinte West in 2016 and elected as Treasurer in 2017. Scott is the representative for The Self Advocates Committee and represents their views on the Board. Scott is very active in the organization. He volunteers at the bi-weekly bingos, at the Annual General Meeting and has assisted at the CLQ Foundation’s Comedy Night. For his continued service Scott received the Volunteer of the Year Award in 2013 and was named Benefactor of the Year in 2014. Scott has lived in Trenton since 1986. He has been married to Cathy for 18 years and loves to go dancing with her. Family is important to Scott and he visits them as much as possible. Scott loves sports and participates in as many as time and resources allow. He particularly likes sailing, skiing, dragon boating and kayaking. We are pleased that Scott has chosen to share his insights and energy by being a member of the Board of CLQW. Remco was first elected to the Board of Directors for Community Living Quinte West in 2017. Remco has been a resident of this area since his family came to Canada in 1982. Through the course of those years – even from a young age – he has been involved in multiple volunteer programs and organizations throughout the area. His first volunteer experience was as the primary coordinator for a number of youth concerts through 1996 and 1997 to raise the funds for the first skateboard park in Centennial Park. After returning from Carlton University to this area in 2003 he started his business, Digital Underground Computers. Remco is very involved in this community and has served on several Boards such as the Quinte West Chamber of Commerce, the Business Networking Inc., Trenton Kiwanis and Our TMH Committee and continues to work on various committees for the City and for TMHF and other organizations. He has organized, in the capacity of chair and committee member, multiple events in this area. Some of these events include the Bay of Quinte Home Show (10 years, 1 yr as Chairman), Kiwanis Walleye World Fishing Derby (6 years), Kiwanis Charity Golf Classic (7 yrs), Salvation Army Luncheon (4 yrs). Remco’s focus is on developing this community to be a place that will appeal to young people to choose to make roots and start families here because there are opportunities here for them. He does this for all the youth of Quinte West but also, and primarily, for his own three children who he hopes will choose to make this great community their home when they start their own families. Michelle Earle has been on the Board for Community Living Quinte West for ten years and is in her fifth term as President. Michelle’s interest in this field is sparked by her sister who has Down Syndrome. Michelle is very proud of her mother, Joan Scott, for the passion she showed for so many years for people with intellectual disabilities. Michelle is also a member of the CLQ Foundation Board of Directors. Michelle was a Director with East York Figure Skating Club for five years. She was also a member of the Janetville Ladies Auxiliary for the Janetville Volunteer Firefighters for 12 years and president for two years. Michelle’s five years of banking experience was a significant aid in her role as Office Manager for her husband’s former company, Medi-Inn Ltd., which manufactures and distributes medical supplies and accessories to the Radiology field. Michelle’s responsibilities included overseeing production, manufacturing, distribution, human resources and accounting. Michelle enjoys spending time with her husband, children and grandchildren. For relaxation, she enjoys reading, boating, golfing, and looking after her grandchildren.